hi lovelies. i hope you all had a fabulous new years and are ready for the 365 ahead! along with many others, i choose not to have resolutions because there is about a 0% chance of me actually following through. while i’ve never been interested much in freaking out over the new year, this year i felt different. i want to focus more time on the aspects of my life that make me happy and less time on worrying about the things i cannot control. so here’s to trying yoga, being present, always having painted nails and blogging more! 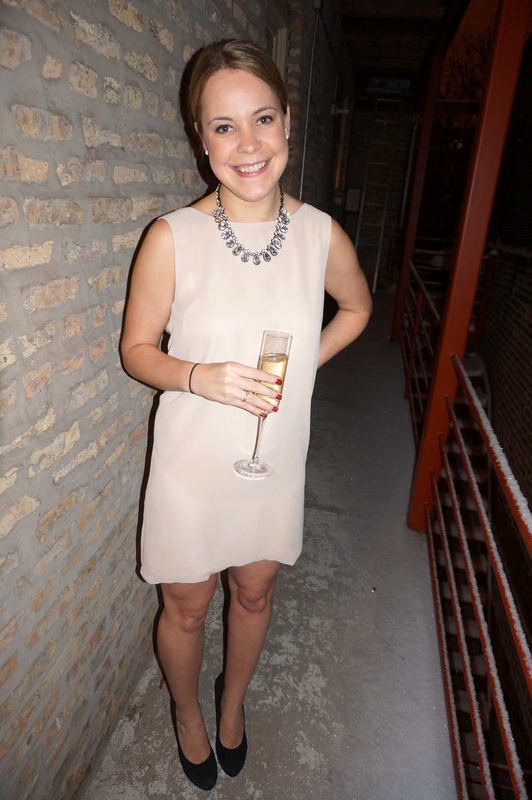 while it was completely freezing on new year’s eve here in chicago, i couldn’t fathom wearing tights with this dress. so, in turn i braved the cold temperatures and snow and was on my way! in the end, i’m glad i went sans tights and loved how easy this dress was. i hope you all had a fab night and here’s to 2014, may it be the best one yet!